Directly after reading the scan the analysis process will start. During this process the stamps will be cut out from the scan and become straightened automatically. 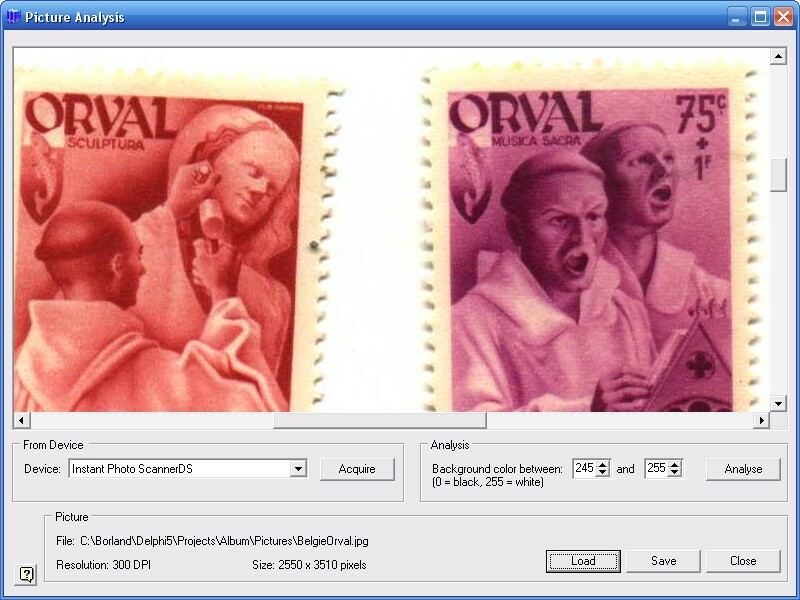 The stamps that have been found will be placed on the toolbar "Pictures". From this toolbar you can edit the pictures manually and use them in your album. In some cases the scanning and analysis processes do not deliver the desired result. For example, stamps will be cut out incorrectly. You can then restart the scanning process with different parameter settings in your scanner software. However you can also only restart the analysis process with a different setting for the "Background color".